I have moved maybe two dozen times in my life, both with my parents as a child in Switzerland, across the Atlantic ocean to Canada, later from a townhouse into a detached house as a teenager, and again on my own to, and after, University. I am a PRO at moving. But moving with kids? The thing about moving WITH kids is that unless you’re doing it during summer vacation, there’s a gazillion things to not lose track of while you move. School schedules, activity schedules, pizza forms, other forms, homework folders, records, and the endless gear that comes with kids who are in competitive sports. Which by the way is at the end of the regular season but a week away before playoffs, so there’s THAT too. Also you need on hand food and drink (so crackers, cookies and juice boxes), and bandaids. And some toys, books, and maybe an electronic gadget that doesn’t require wifi. 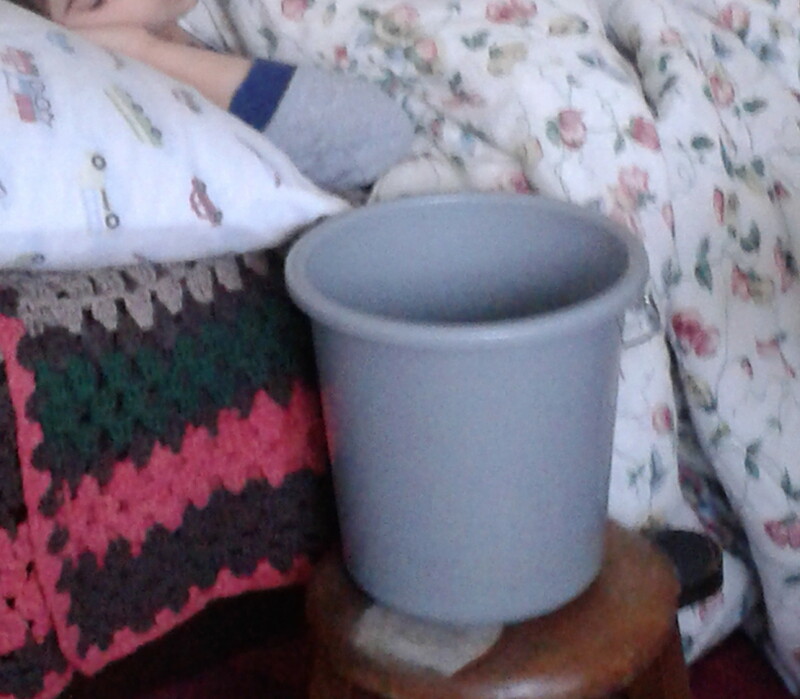 He’s pretty low maintenance, and old enough to be left alone when not actively hurling that is, for a few minutes to pick up the other very healthy, active, chatty child, so it wasn’t a big thing (except of course the time I was packing up the basement and he came to tell me he missed the bucket)…I worried, and had to unpack the soup box so I could feed him broth at least, but other than that he stayed out of the way, slept, and was quiet. By Thursday he was a touch better and keeping down broth and apple slices, which was helpful for Friday when we had to move OUT of the house. I sent him to shower on Thursday night and he was up and having toast on Friday, prior to moving. Thank goodness for small miracles. It went fairly well, the move. I am however more physically tired than I have been since I gave birth to those children of mine, and every single muscle in my body hurts, even those I didn’t know I had. Like my fingers, and the upper palm of my hands. They were literally throbbing this morning, which is why I got up at 6 am to take some pain meds. So now we get to live in this lovely little house for about 8 weeks while our old little house is getting a major renovation. I walked through our house when it was empty the other day and it felts big. Huge, actually. How come I never noticed all this space while living there? All I could remember was the constant irritability of feeling claustrophobic. As I’m unpacking the stuff and clutter in the rental house I’m making conscious decisions with every item I handle, whether we need it immediately, later, or never and then either find a spot for it, pack it back up into a labeled box to use after we move home again, or dump it in the Goodwill bag. Boy: Mommy, do you know where the other part of the extension cord is for the Xbox? Me: No. I told you before, your dad packed that box, I have no idea where it is. Him: Do you know where my jeans are? The first child who finds mommy’s wine bin will get a brand new car on their 16th birthday! Unfortunately that wasn’t enough incentive for them to unplug (wifi was hooked up, I can’t compete with that). So eventually I stumbled across the bin myself and poured some wine into a plastic ikea cup. 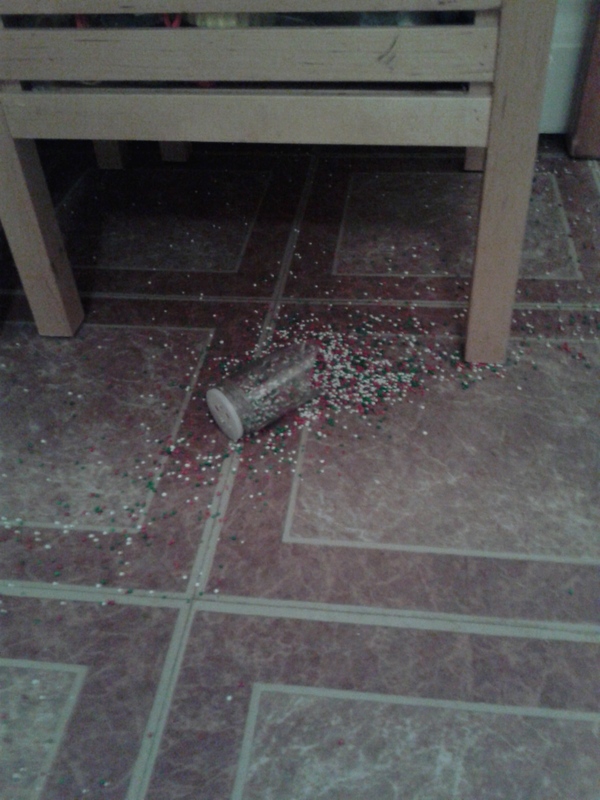 Oh, and then I broke the sprinkles spice jar. In 8ish weeks or so, I will be moving into a brand new home and get to do this all over again. I think the two moves will be the hardest part, so you’re already 50% there – possibly even more if you count all the decluttering work you’re doing. I find that in addition to the physical stuff, it’s the mental exhaustion of decluttering that tires me out during a clean-out – it seems silly, but all those constant decisions just leave me fried. Hope you get in some good wine and rest!